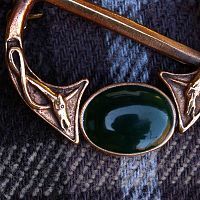 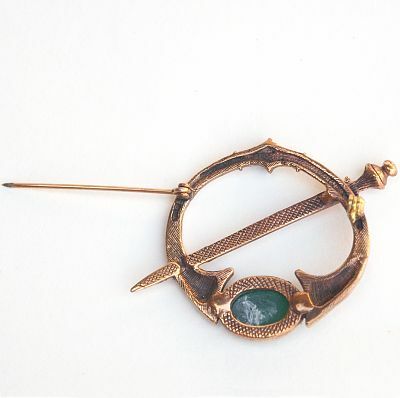 - Add a touch of Irish magic to any outfit with this lovely bronze brooch set with a deep mossy green synthetic gemstone. Celtic knots on either side of the stone end in dogs' heads. 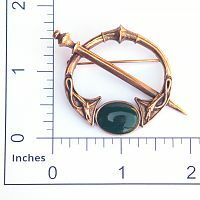 Brooch measures 1 1/2" in diameter. 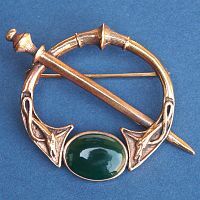 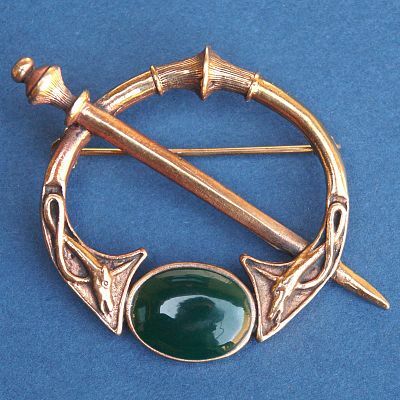 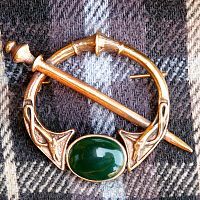 Do you have any other questions about our Celtic Dog Bronze Pin?